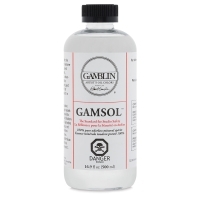 Gamsol is an excellent solvent for thinning Gamblin mediums and for general painting. 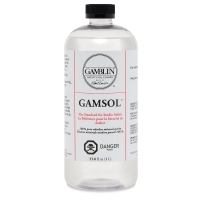 It evaporates 100% and leaves no residue in paint layers. 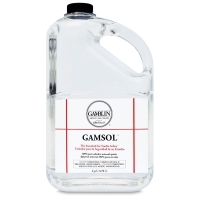 Gamsol is less toxic than other brands of OMS (Odorless Mineral Spirits), mineral spirits, or turpentine because the harmful aromatic solvent component has been removed. It's also useful for studio and brush cleanup. Note—Due to mixed stock, sizes may vary slightly.